Famously known as one of the most gorgeous capitals and popular tourist destination of Europe holiday packages, Vienna is a city of architectural wonders, lovely music, mind-boggling art, and heart-warming cuisine. The capital city of the Republic of Austria is replete with the favorable Vienna weather and the various, exciting things to do in Vienna. Here we listed down a few for you, because travel is the essence of life, and we don’t want anything to hinder your essence! 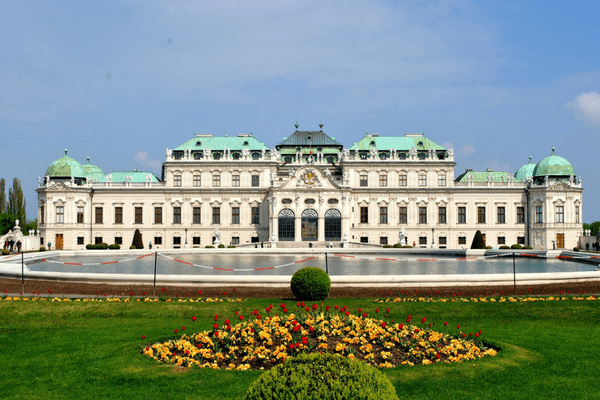 A living, breathing plethora of brilliant artwork from all over, Belvedere Palace is quite understandably one of the significant gems of Vienna tourism. The palace is comprised of two buildings – the Lower (Unteres) Belvedere and the Upper (Oberes) Belvedere. The Upper Palace was built between 1721 and 1723 and hosts beautiful statues and the famous Ceremonial Staircase. The Lower Palace focuses more on the craftsmanship of the delicate ceiling and a display of ancient sculptures. 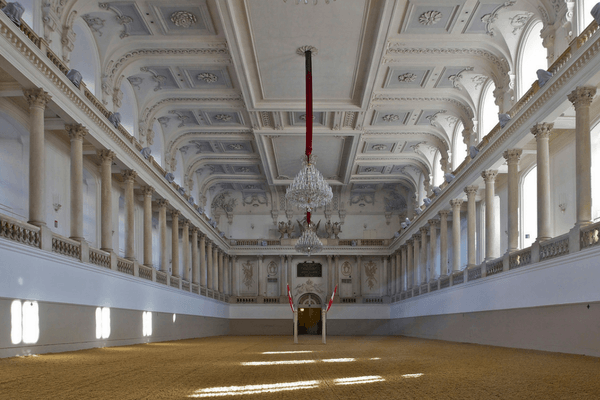 This is a great opportunity for you to experience first-hand one of the most popular Vienna tourist attractions, the 400-year-old legacy of the Imperial Stables. The Spanish Riding School allows you to bear witness to the mesmerizing exercises exhibited by the horses. The activities in the school date back to 1562. Best to visit the school in the months of March to June and September to December. Be sure to be dressed in your finest for the final dress rehearsals, as the tickets are available on first-come-first-served basis. 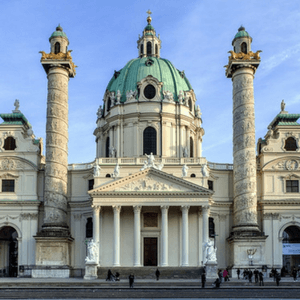 One of the popular landmarks and places to visit in Vienna, St Stephen’s Cathedral is a structure that is peppered with such brightly coloured roof tiles, that it can be spotted from quite a distance! The cathedral is a Gothic structure that has been standing strong since 1722. While the original church building was destroyed in a fire, you can still spot the ruins of the same in the form of the massive gate and the Heathen Towers. 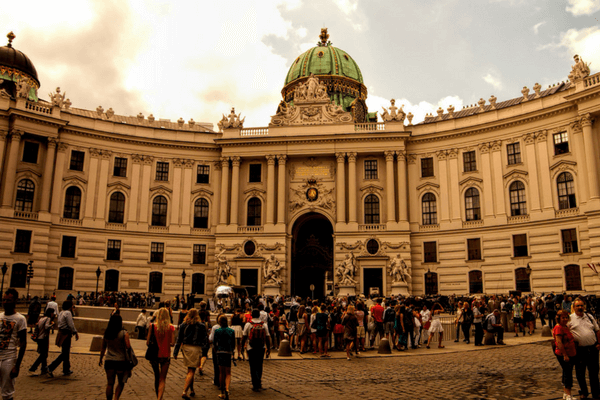 One of the most prestigious places to see in Vienna, Hofburg has a rich history of power attached to its past! It is one of the historically most important palaces of Vienna and has been around for more than six centuries. Comfortably spread across a vast area of 59 acres, the structure comprises of 18 groups of buildings, which in turn include 19 courtyards and 2600 rooms! 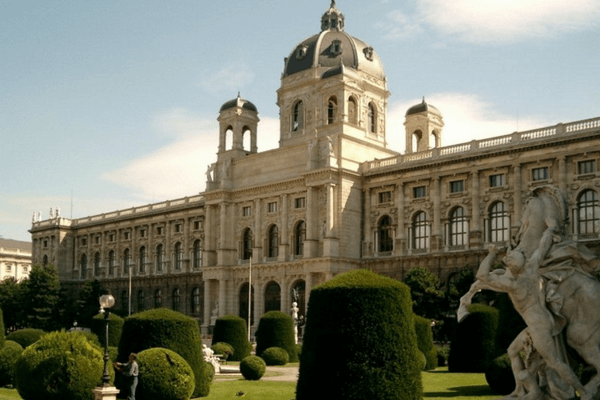 Continuing its prestigious role as the seat of power for Habsburgs for so long, it has been the official residence of every Austrian ruler since 1275. The main attractions include Imperial Apartments, the Sisi Museum, and the Silver Collection. This palace was once the summer residence of the Habsburgs. It has a phenomenal garden setting. It is a golden-yellow architecture, home to 1441 rooms and apartments. Of all the rooms, only 40 staterooms are open to the public. What secrets do the other rooms hide? A palace converted to a museum of the most amazing artwork mankind has had the felicity of witnessing, Albertina was built in 1744. 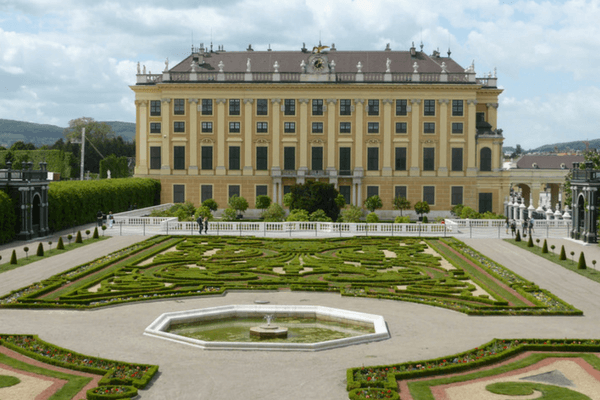 It is one of the largest residential palaces of Hapsburg and was built with the neoclassical style of architecture. The unique thing about this palace is that it comprises of 21 staterooms, each one with its own specialty! This definitely makes it to the list of things to do in Vienna. Find out what these specialties are! 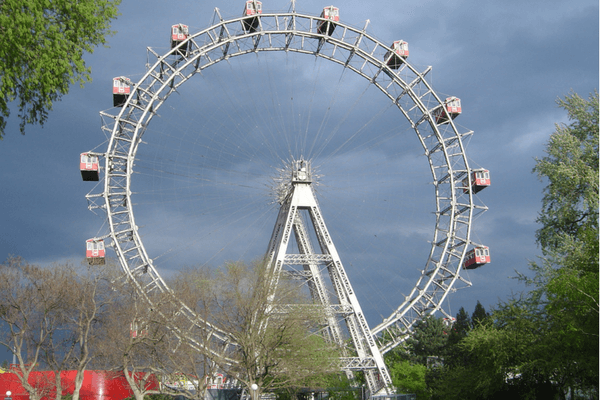 Of all the wonderful parks peppered around Vienna, Prater is one that has something for everyone. It is spread across a massive area of 3200 acres and gives you the experience of being far away from the city. The highlight of this park, is the Giant Ferris Wheel. 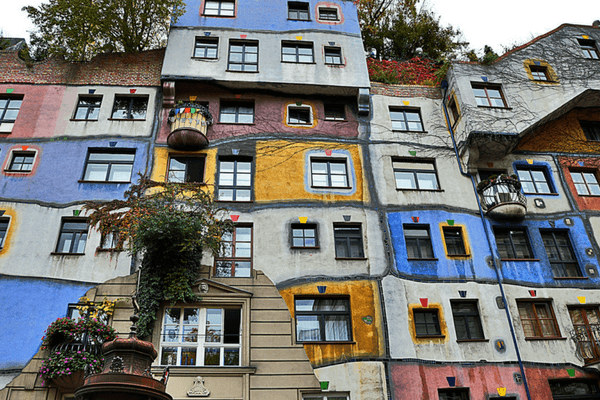 Spot the entire city atop each luxurious cabin at this gem in the list of things to do in Vienna! The Museum Quartier is a collection of lovely cafes, restaurants, and bars to pick from. 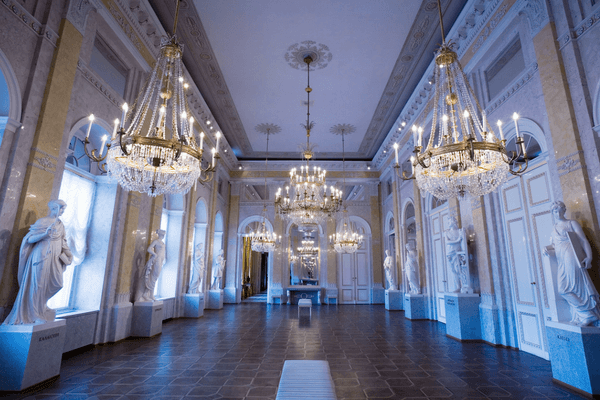 Fischer von Erich was the one to design this popular cultural hub in Vienna, and is the perfect place to explore the vibrant culture of the city. 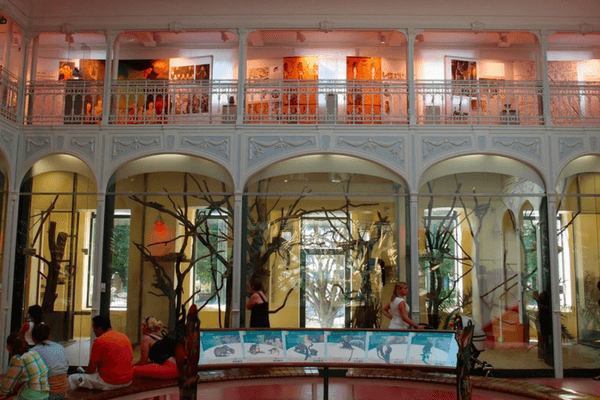 Home to a vast collection of antiquities, Vienna Art House is the ideal place for history buffs and art appreciators. It is replete with paintings, graphics, architecture, philosophy, and ecology. 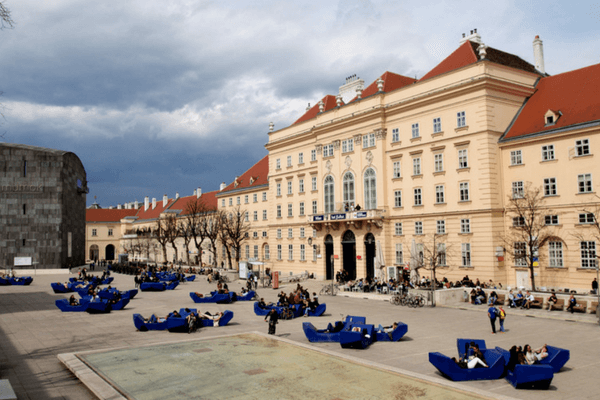 The Vienna art house is coupled with a model of a utopian city like none other, making visiting it being pushed to the top of the list of things to do in Vienna! Europe’s finest artists, painters, and sculptors were the ones to adorn this museum with some of their best work. It is a neoclassical building with a range of artifacts from Classical Rome to the Renaissance and Egypt. The museum expresses why art is an integral part of Vienna! Known as one of the oldest zoos in the world, Vienna Zoo proves to be a spot close to the hearts of nature lovers. Its origin dates back to 1752. Emperor Franz Stephan was the one to establish it. It houses, today, over 750 varieties of animal species, including fauna of the Rainforest House and Aquarium! 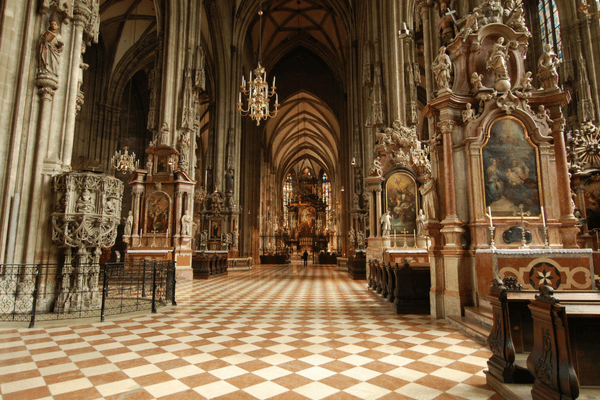 We hope this list has deepened your thirst to visit the various things to do in Vienna. So plan your trip to Europe now! Vienna is known as one of the most gorgeous capitals of Europe. Here are the things to do in Vienna to enhance your holiday experience.